It has a perfect ending to the only kind of story that should start in Venice. The story explores the question of saudade as a voyage. And while doing so it creates a knot of stories I had not, before, considered as constituting a genre; that of getting lost. Lost in Venice in the aftermath of the war, Cherenkov just wants to put his head down somewhere and sleep, but her copper hair snares his eye. Beguiled and weary, he allows himself to be led through a quirky little shop within which lies a vast and hidden land where her family rule in ornate splendour, where his revolver is a marvel and his motives are questioned. 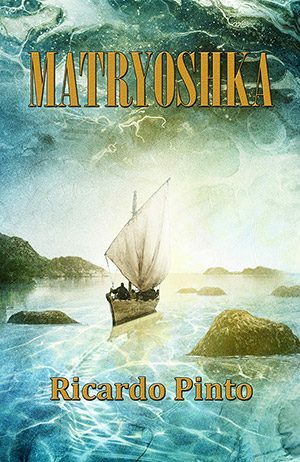 Confusion and wonder abound as Cherenkov and his seductress embark on a pilgrimage in a small sailing boat across sargasso seas, in search of the Old Man who dwells on a floating island where time follows its own rules. Cherenkov returns to the outside world, only to discover how badly he has come adrift in time: money is carried within plastic cards and information comes from a screen. Bereft, he is drawn back to voyage on the hidden sea, and to seek the mystery that lies at its centre that may be the only thing that can give him the answers he craves.